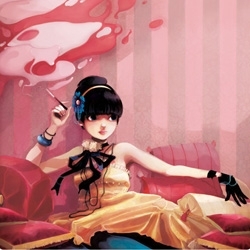 Cake or Death - Moya - A french illustrator I like. 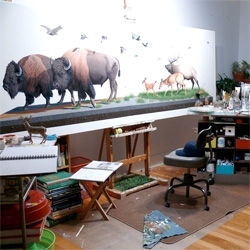 Nice and simple illustration work. 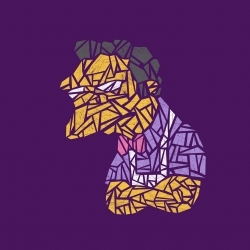 Moe(saic) - A Simpson's classic by David Schwen. 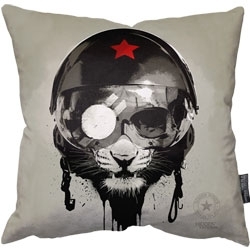 Eye of the Tiger - New Limited Edition prints & pillow from one of the UK's coolest new artists - Hidden Moves. Mykea! If you're a fan of IKEA you'll love this. 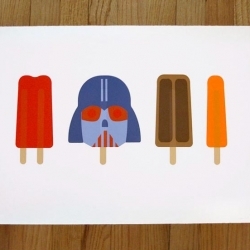 You can now add a whole new look to their more basic lines of furniture with these fun prints by Mykea. 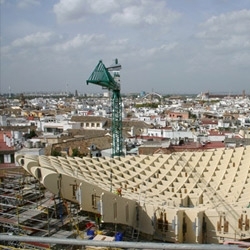 Juergen Mayer H.'s Metropol Parasol is currently being built in Seville. The following images of the giant raised canopies were taken on site recently! The last campaign for Scrabble by Ogilvy & Mather. 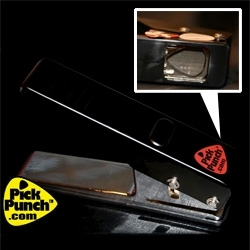 Pick Punch = DIY guitar Picks! 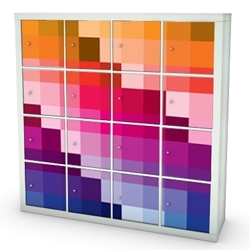 Punch them out of credit cads, nylon sheeting, and more! 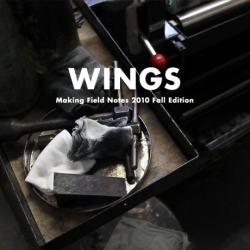 VIDEOProduction of Raven's Wing Field Notes notebooks. Design duo Bear and Lion (based in Brooklyn, by way of San Francisco and the Netherlands) is winning notice for their furniture comprised of crisp angles and clean lines. 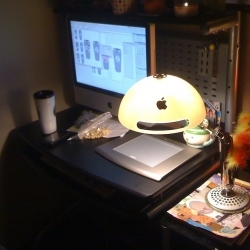 Randall turns old iMac G4s into beautiful lamps and clocks. 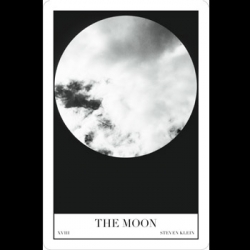 A new Tarot Card deck features cards by 78 different artists, including Karl Lagerfeld, Terry Richardson, and Steven Meisel (above). 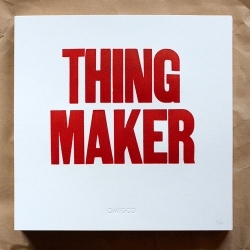 The OMFGCO Thing Maker poster! Hand-cranked in a limited edition of 50 by Michael the intern. Wine Finer! 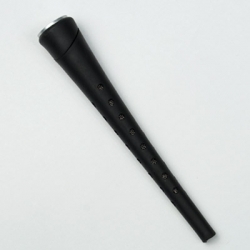 This ingenious Danish design combines four functions into a single slim product - Filter, Aerator, Stopper, and No drip pourer. 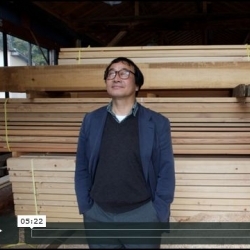 Davina Pardo turns the story of "Minka", the farmhouse in Japan restaured by John Roderick and his son, Yoshihiro Takishita, into a short film : "a meditation on place, architecture, memory and the meanings of home." 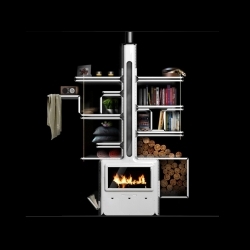 Quite an amazing and creative idea by French industrial designer Arthur Senant that actually combines everyday life conveniences with a warmth of fire, to create not just a stove but a place. 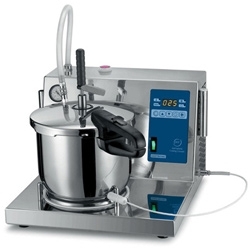 Reverse Pressure Cooking ~ Over at H20visions we explore the emerging world of cooking with extremely low pressure... a world of Gastrovacs and rotary evaporators! 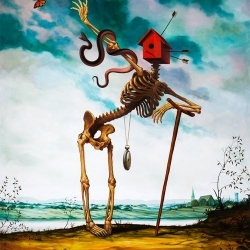 Incredible paintings by Mike Davis. 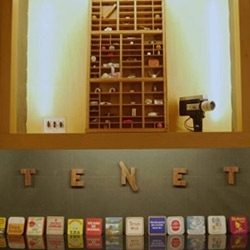 Cute tea packaging for Fairmont Hotels & Resorts by Up Inc. Jawbone's Jambox, bluetooth wireless speaker and speakerphone. 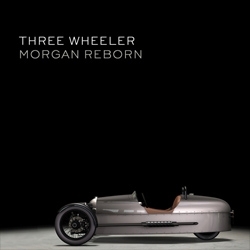 The Morgan Motor Company are about to bring back the legendary Morgan Threewheeler. The 2011 Threewheeler is a fusion of modern technology into a classic design. Solderin’ skaters turns the Nokia n900 into an interactive skateboarding game by recording real skating. 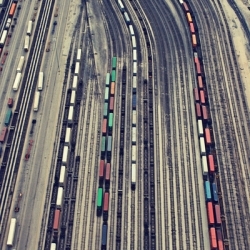 'Way Up High #2' art print by photographer Christina Shaffell. 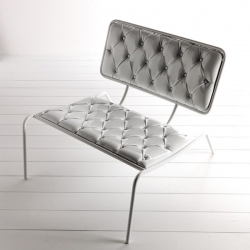 Who would've thought that simple metal sheet pierced furniture can look this cool, and that it can look even cooler when partially upholstered in leather. 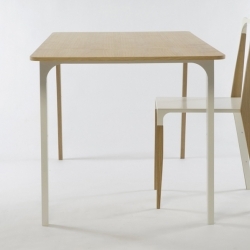 Great pieces by Studio Batoni for Esedra Italian Design Studio. 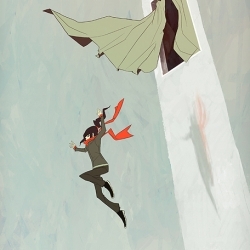 Brand new A3 prints, limited edition of 10, for sale by Renato Pequito at the shop. FEATUREDUnboxing Lelo INSIGNIA ~ the latest line of luxurious pleasure objects has just launched, complete with a brooch of their mysterious symbol... waterproof, discreet vibrations, beautiful packaging and more. Light lining comes to the USA! With the help of some superb architectural mapping the Frank Gehry designed IAC in New York is transormed in to a feast of sight and sound. 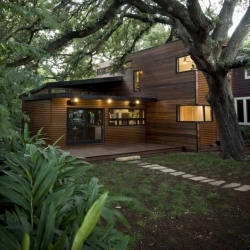 A beautiful house, located in South Central Austin designed by Chris Cobb. 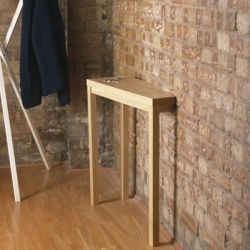 The design is contemporary, with a good fusion to the surroundings. 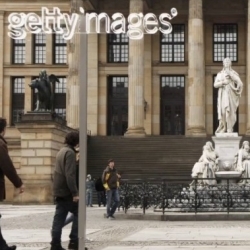 Getty Images puts its watermark - produced out of glass - in front of photo-motifs in germany. 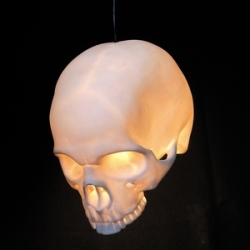 By Auckland/London based studio Scott, Rich & Victoria, A YEAR APART is a collection of furniture and lighting pieces designed over the course of twelve months, across twelve time zones. 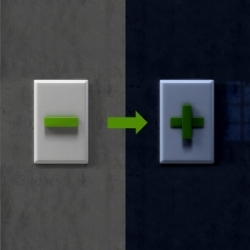 Rotating light switch designs from Rafael Morgan that graphically represent energy waste using common positive/negative symbols. 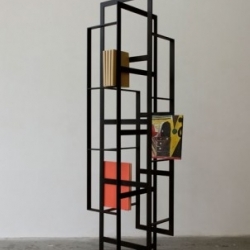 Strong black lines characterise this almost Mondrian-style storage system called the Weave Bookshelf by Japanese designer Chicako Ibaraki which can apparently hold up to 200 books. 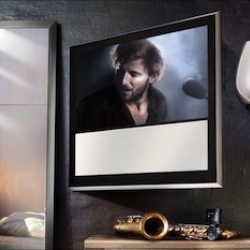 The Bang & Olufsen BeoVision 10-32 offers superior acoustic sound on a new slim aluminium frame with edge-LED backlighting. 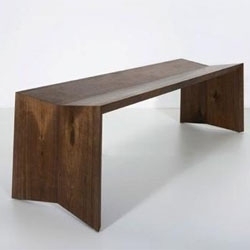 Keith's Console is a wall table by Richard Shed. 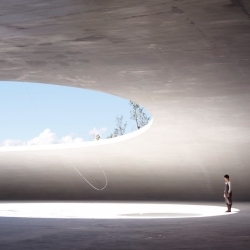 the new teshima art center by ryue nishizawa. An inside peek at the desk of Karim Rashid. 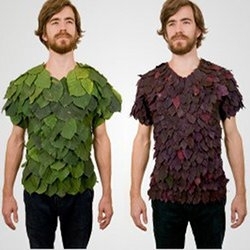 Dave Rittinger's Zero Footprint shirts are made of nothing more than leaves and glue. BLACKOUT - the new ROGAN stop motion film. 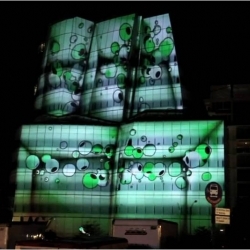 An extended survey of the Bat-Yam Biennale of Landscape Urbanism: art took the streets. 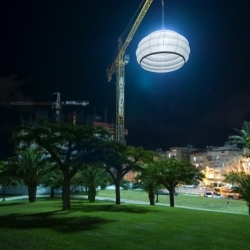 From communal feasts to cardboard boutiques, our seven picks for coolest Pop-up event spaces! 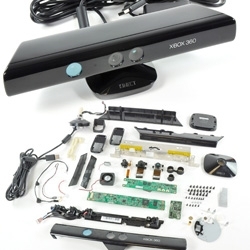 iFixIt has a Microsoft Kinect Teardown! Skype for Mac now does group video chat! 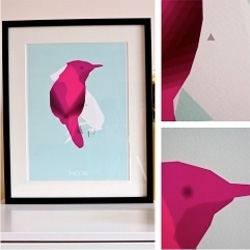 This is a hand pulled screen print, signed and numbered, on 100% cotton rag paper with archival quality inks. This print is very complex with seven printed layers, one for each color. Limited edition. 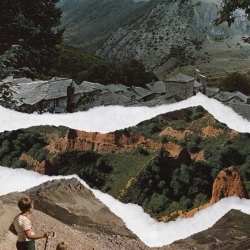 22"x15"
There's something different and cool about the work of Ludovic Jacqz... I'm especially digging the colors. Meet Hugo the wild boar. 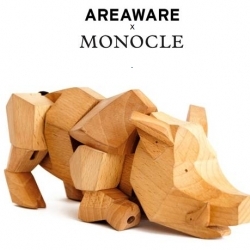 A design collaboration between Monocle and Areaware. Cute but tough!